“(The NFL) asked me if I wanted to take the reins and do something creative for them. I started with Super Bowl 35 in Tampa,” said Fazzino. 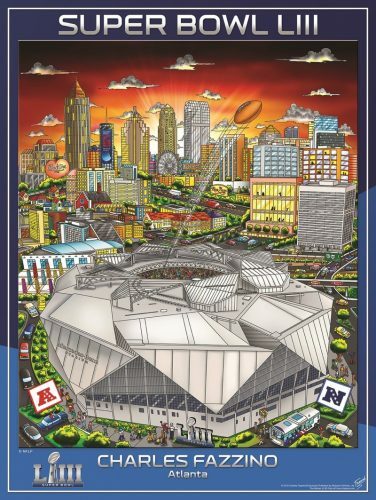 Through the 1980s and 1990s, the post had been held by artists such as Peter Max and LeRoy Neiman, creator of “Superbowl XXVIII, Georgia Dome,” a 1994 limited-edition serigraph on paper.